This beautiful card is made from a hand drawn and coloured original artwork by Joe McMenamin. It is printed on 270gm reeves paper that has a slight texture and feels great to write on. 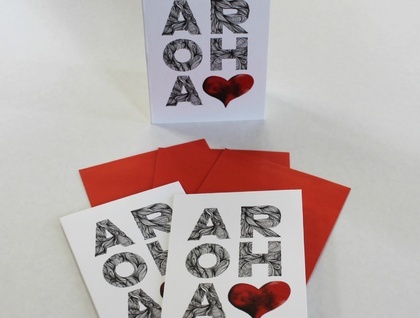 It is available as a single card or in packs of 3 or 10. 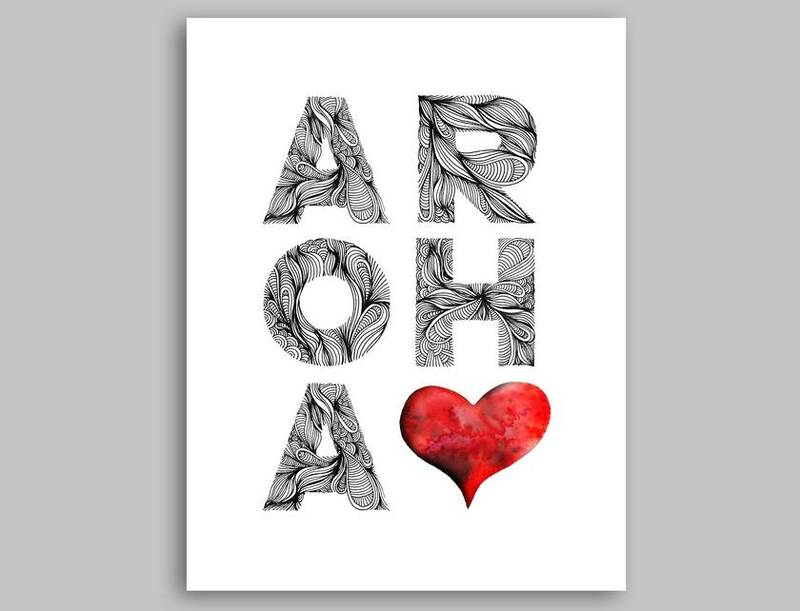 Aroha is Maori for Love.